YANGON — Peddling along red earth tracks, you can see water buffalo bathing in the muddy stream below as your route skirts the bright green rice paddy fields that stretch to the steamy jungle beyond. This is a far cry from watching the landscape rush by through the window of a car. You won’t hear the clang of bells worn by oxen plowing the field and are unlikely to attract thanaka-framed smiles and waves from inside a bus. You’ll know nothing of the colorful and lively novice monk initiation ceremony in the village nor get invited into a Kayan house to share a jar of rice wine if flying in a plane overhead. 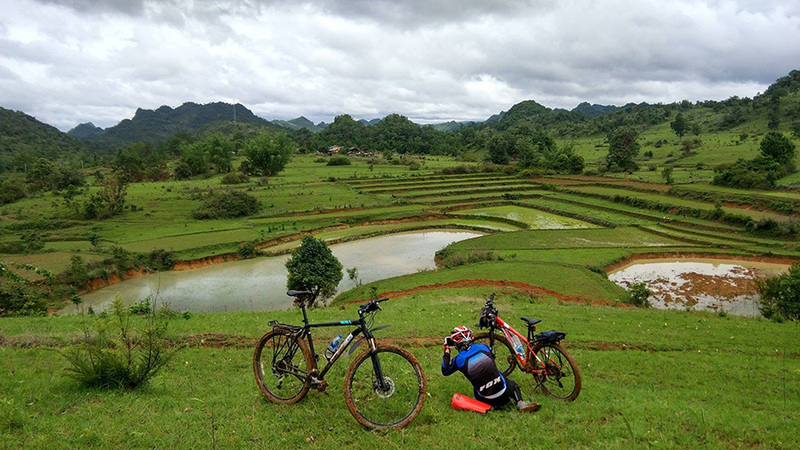 Bicycles have always been available to rent for travelers in Myanmar to explore a locale, but now there are a growing number of quality half-, full- and multi-day tours, which immerse you in the rural spirit, on proper mountain bikes with a support team and local guides. “In my opinion, it’s the best way to really get in touch with the country. You can stop at any time, you can go at a slow pace and go through the villages—you don’t have to stay on the main road. There are many things you would miss in a car or not reach if you were walking,” said Jochen Meissner, the Austrian founder and manager of Uncharted Horizons Myanmar, an “adventure tour operator” specializing in cycling tours out of Yangon and across Myanmar. Jochen designs bike tours that make the most of the green delta region located just a boat trip across the river from Yangon. The tours are not only growing in popularity with tourists but increasingly so with foreigners living in Yangon who need a break away from city life and the Yangon hustle. “Crossing the river on the ferry is like entering another world. We use the small back streets, pass the small markets and quickly we are in the middle of rice fields with farmers and monasteries around. 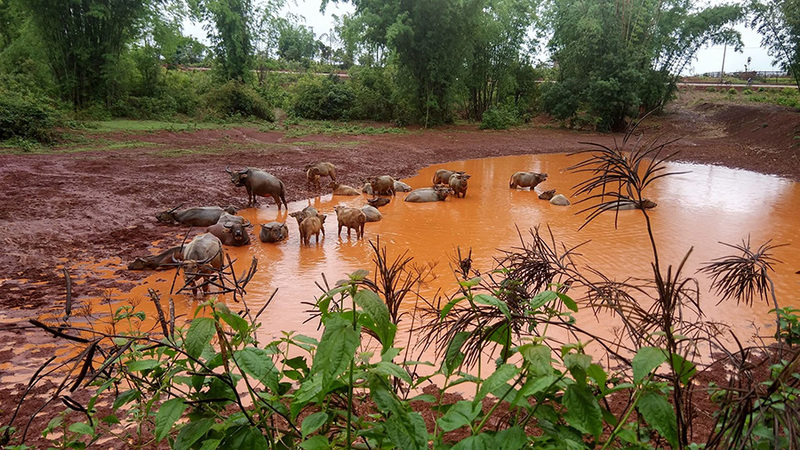 You get to experience the real Myanmar,” said Jochen. 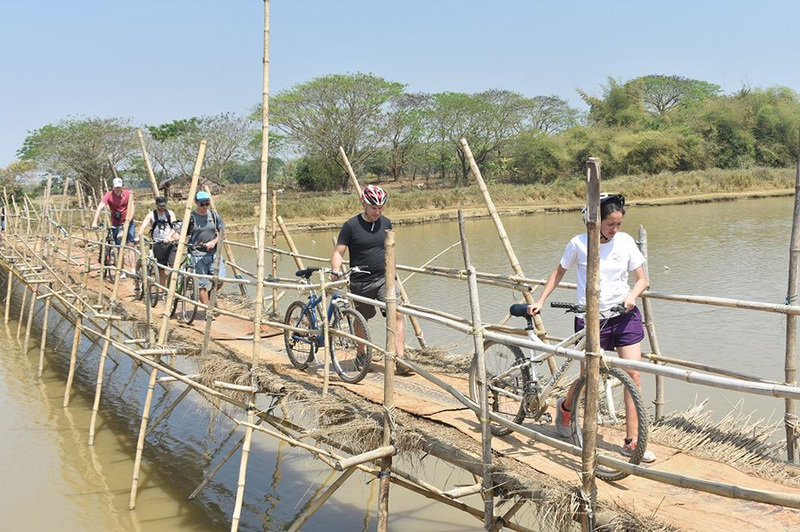 Another tour based out of Yangon takes travelers cycling along the Old Dhamazedi Road in Bago Region. This road earned its unofficial name ‘Old Dhamazedi Road’ for being the road King Dhamazedi (1409-1492) would use to travel from Bago to Yangon, then known as Dagon, to visit Shwedagon Pagoda. Green Season Travels, which arranges the trip, works with villagers for different elements of the tour so they can benefit from having travelers passing through. Villager U Myo Khin, for example, gets an income from storing and maintaining the bikes at the tour starting point. Cyclists can visit a jam production house using seasonal fruits to create the sweet snack, a craftsman who has been making bronze lighters for 30 years and later have a home-cooked lunch in a host’s home. “Our ‘Village life along the Old Dhamazedi Road’ tour is designed for those looking for a real outdoor activity, to experience the real countryside of Myanmar, its people and culture. As this tour is between Yangon and Bago, it’s quite suitable for everyone to take a day trip outside Yangon,” said Green Season Travels Founder Zaw Min Oo, aka Jack. 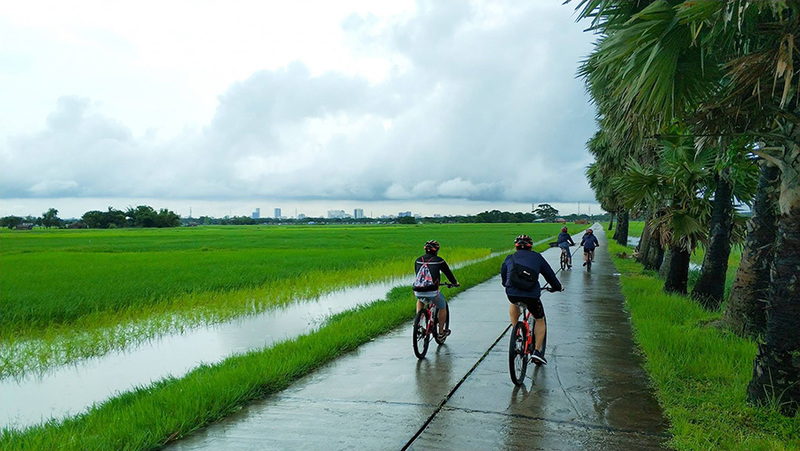 If time is on your side, cycle tours lasting up to 10 days leaving Yangon going south towards Hpa-an or deep into the delta are also possible. Further afield, those with a low to medium level of fitness can do multiple-day trips through the rolling Shan hills, home to many ethnic subgroups. 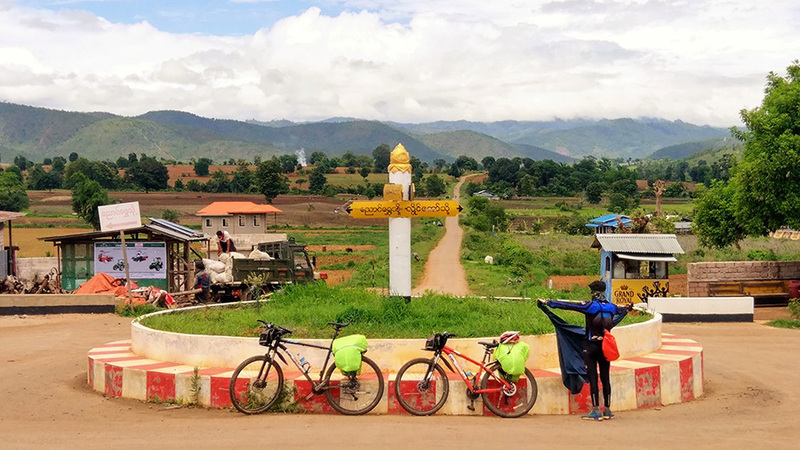 Jochen recently came back from an epic cycle from Loikaw, capital of Kayah State in the east to Lashio in northern Shan State to work out potential tours along the 600-kilometer (373-mile) route. Cyclists can have tours designed to take in Pyin Oo Lwin, Pindaya, Pinlaung, Inle Lake, Kalaw or others, each with a guide that speaks the local language. For tourism in Myanmar to continue to develop, it must diversify beyond boat tours on Inle Lake and e-bikes around the temples of Bagan. Cycling tours could help keep tourists here for longer and move away from hotel and restaurant chains owned by the rich and powerful, towards distributing spending more widely among villages and small businesses. Moreover, it does not cater only to fitness or cycling enthusiasts. Jochen says cycle trips are flexible in their level of difficulty and number of hours. “On the day tour across the river, our youngest guest to ever finish the full tour was six years old and the oldest was 86 so it’s really for everyone who likes riding a bike,” he said. Katharina Beyer, country manager of the Myanmar branch of Grasshopper Adventures, which operates in eight countries and specializes in bike tours, said cycle tourism is in its early stages here. Bad road conditions and a lack of accommodation options are hurdles that cycle tour operators face.